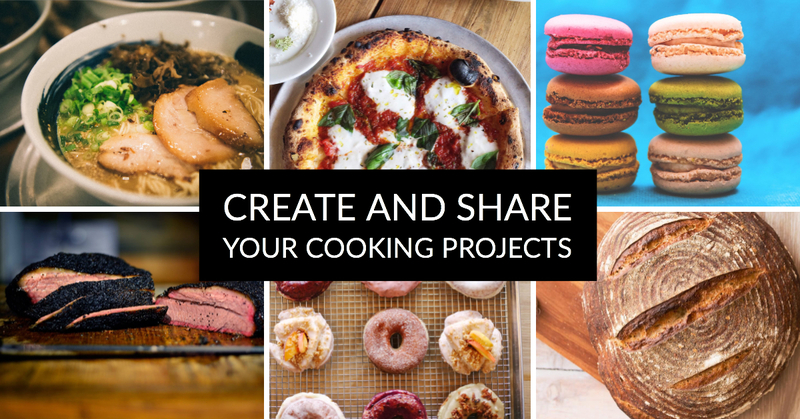 We want to inspire and support your passion for cooking by connecting you to a community of cooking fanatics. We believe that the pursuit of cooking is more about the process than the final product, where exploring and experimenting are equally important as the making. We built a tool that allows our members to capture their cooking journey and discover and engage with the journeys of others in the community. Our goal is to multiply and enhance those moments of glee you experience in your culinary adventures. Cooking is a lifelong pursuit, something not to master but to be enriched by. Cooking is a skill that is developed with practice and persistence. Keep learning and stay curious. Be authentic. Put yourself out there and receive feedback. Be yourself. Wherever you are in your cooking journey, you have knowledge and experience to benefit others. As you learn, help others learn too. When it comes to food and cooking, there's diversity of interests, tastes, and preferences. There are many ways to get to “yum”. Give feedback in the spirit of helping others grow. Cooking connects us to our past and heritage, to other people, and to the natural environment. Your Note Has been shared successfully! Please Login or Signup to complete your request.